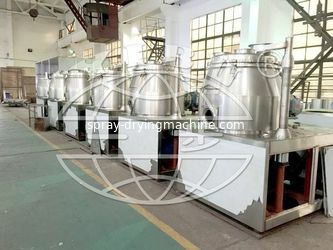 Changzhou Yibu Drying Equipment Co., Ltd. is a leading manufacturer of drying, mixing, and granulating equipment in China, a specially-designated enterprise of China Association for Pharmaceutical Equipment (CAPE) and China General Machinery Industry Association (CGMA) Drying Equipment Branch. The factory covers an area of over 50,000 m2, has fixed assets of CNY 35 million, with more than 180 sets of special processing equipment and strong technical force. The company owns the provincial famous trademark of "YIBU", and has passed the ISO9001 & ISO14001 certifications. The founder, Mr Zha Guocai has devoted more than 30 years in R&D, production and business of drying equipment. 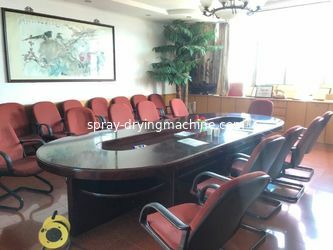 He holds the post of Deputy Director-General of China General Machinery Industry Association (CGMA) Drying Equipment Branch for a long time. The company pays great attention to science and technology innovation, has collaborated with Medicine Design Institutes in Shanghai, Wuhan, Chongqing and other places, Shenyang Chemical Research Institute, Qinghua University, Shanghai Jiaotong University, Dalian University of Technology, etc. The company launched 3-5 new products to the market every year. In 1998, YIBU established "China Research Center of Drying and Granulating" with the approval of relevant state department, and cooperated with pharmaceutical, chemical and food industries to research and develop new technologies related to drying, granulating and mixing, etc. The factory also has a variety of test prototypes in the laboratory for customers' trials. The company sold equipment to USA, Mexico, Columbia, Guatemala, Brazil, Peru, Australia, New Zealand, Ghana, Russia, Cyprus, Greece, Iran, Indonesia, Philippines, Korea, Japan, Taiwan, Hong Kong and other countries. 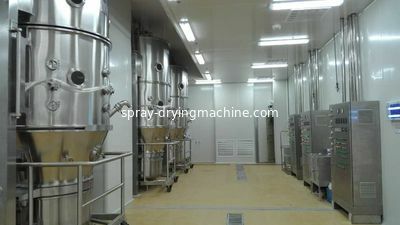 In 1998, YIBU expanded Factory and set up the " the R&D center of China Drying and Granulating "; meanwhile ,It became the first company who as the import &export right in the drying Equipment industry in Chin a. In 2007, Company was elected to a director of the China Pharmaceutical Equipment Industry association, Meanwhile ,YIBU made many industry standards for the relevant products. In 2009, Many products of YIBU got CE certification; “YIBU” trademark won "Jangsu famous trademark " for the third time ;YIBU got the award of " Jiangsu high-tech enterprises ", "Industrial Economy Technology innovation " and "The third- industry development" and so on. 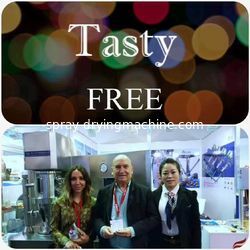 In 2015, our company hold the celebration of 20th anniversary; the standards for the Spray dryer of Chinese herb extract from YIBU were promulgated as the national standard; the “YIBU” trademark won " Jangsu famous trademark " for the fourth time. 1. Act as a good adviser and assistant of clients to enable them get rich and generous returns on their investments. 3. Provide full set of documents as customer’s requirements. 7. Establish client file system. 1. Are you a manufacturer , trading company or a third party? 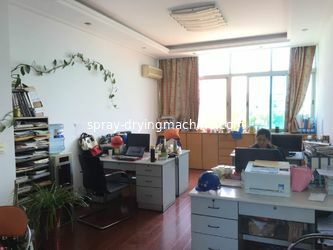 Our company is located in Zhenglu Town,Tanning district ,Changzhou city ,Jiansu province,China .it is in the middle of Shanghai and Nanjing . 3. How can I go to your factory ? You can fly to shanghai pudong or hong qiao international airport directly ,and then take the high speed train or bus to Changzhou station and then we can pick you up at changzhou station for our company . Our company is around 30~40km away from the changzhou station. If you are in China now , you can fly to Changzhou Benniu airport or Wuxi airport ,or take the train or bus to our city directly . 4. What’s your mini order ? Our mini order is one set . 5. Is there any certificate of YIBU ? 6. Is the machine easy to performance update?